Doors open at 7 PM, show at 8. $ 20 at the door. 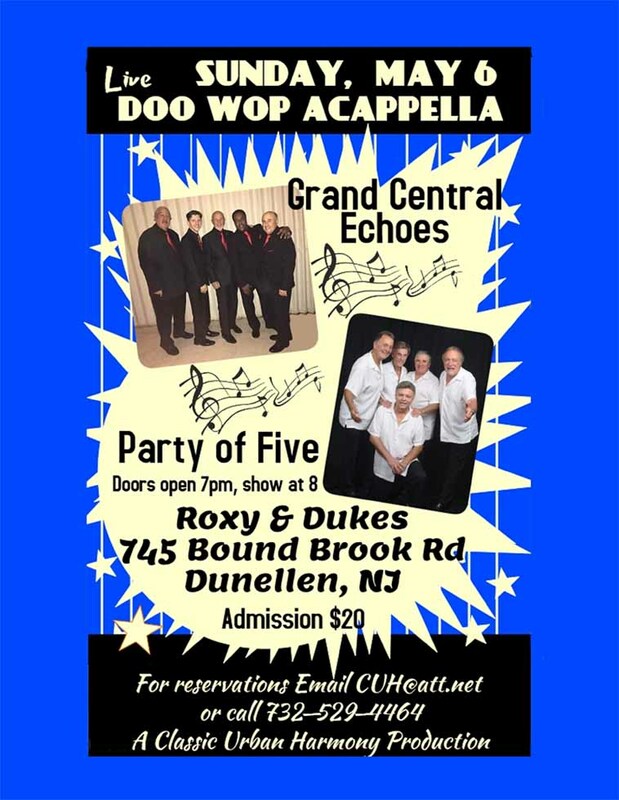 After a month off, we’re back at Roxy & Dukes, 745 Bound Brook RD, Dunellen NJ on Sunday May 6 with another fabulous night of doo wop acappella! This time we have two more great groups – Grand Central Echoes and Party of Five. Doors open at 7 PM, show at 8. Admission is $20 at the door, but email us for reservations at CUH@att.net.